The price quoted above is before tax; add the corresponding Value Added Tax percentage in your country (Colombia) where applicable. Since the services are rendered in Colombia and qualify as cross-border supply exports, they are tax-exempt for residents of other countries. If you need an earlier delivery for this project, let us know at [email protected] so that we can arrange a Rush Fee and complete it by your deadline. This product was developed by Laura Busche, a marketing professional, writer and entrepreneur. Through her years of branding experience, Laura has learned that small, emerging businesses usually cannot afford design agency prices. After completing her Master’s Degree in Design Management (SCAD), Busche made it her mission to make effective design and branding products available for early stage startups. She went on to write the Lean Branding book for O’Reilly and built this store. By hiring the best design talent in South America, her team now offers a unique set of products and services to help you stand out in the marketplace with an attractive price advantage. Accepted file types: jpg, gif, png, pdf, docx, doc, xls, ppt, pptx. We're thrilled to work with you and take your brand to the next level. Here are some basic terms and conditions that rule our workflow: RIGHTS AND OWNERSHIP — All services provided by the design group shall be for the exclusive use of the client other than for the designer’s promotional use. Upon payment of all fees, the following reproduction rights for all approved final designs created by the designer for this project shall be granted: 1) Client to gain full transferable rights to brand identity. 2) Client to gain full license to reproduce works through commercial printers. OWNERSHIP — The client shall be entitled to full ownership of all final artwork created during the project upon full payment of the agreed fee COMMUNICATION — The lead designer (Laura Busche) can be reached by email from Monday to Friday between 9am and 5pm EST at [email protected] Skype chats are welcomed at the Skype username: laura.busche. PAYMENT SCHEDULE — The client will have the option to make a 60 percent downpayment prior to work commencing. The project can be scheduled once the downpayment is received by the designer. The downpayment is non-refundable. The remaining 40 percent is payable to the designer one month after, and before original artwork is supplied to the client. DELAYED PAYMENT — If, after the project has commenced, subsequent invoices are not paid within 30 days, a 5 percent “delayed payment” fee will be charged. This initial 5 percent figure will be added upon each recurring 30 day period until the full amount has been received by the designer. CANCELLATION — If after project commencement client communication (face-to-face, telephone, or email) stops for a period of 180 days, the project can be cancelled, in writing by the designer, and ownership of all copyrights shall be retained by the designer. A cancellation fee for work completed shall be paid by the client, with the fee based on the stage of project completion. The fee will not exceed 100 percent of the total project cost. SAMPLES —Upon request, the client shall provide the designer with samples of print design that result from the project deliverables. Such samples shall be representative of the highest quality of work produced. PORTFOLIO —The designer may use such copies and samples for publication, exhibition, or other promotional purposes. The designer shall have the right to photograph all completed designs or installations and shall have the right to use such photographs for publication, exhibition, or other promotional purposes. CONFIDENTIALITY — The client shall inform the designer in writing before the project commences if any portion of any material or information provided by the client or if any portion of the project is confidential. INDEMNITY —The client agrees to indemnify and hold harmless the designer from any and all claims, demands, losses, causes of action, damage, lawsuits, judgments, including attorneys’ fees and costs, but only to the extent caused by, arising out of, the work supplied by the designer. CONSENSUS — A document containing the above terms and conditions will be supplied via email along with the first invoice. Acceptance is implied through the electronic signature enclosed hereafter. Sign here to confirm that you have read and approved this. 60:40 Pay 60% up front and 40% one month from today. This listing is for a Premium Branding Package and includes logo design, a color palette, typography palette, 3 stock images to enhance your brand communications, and a Stationery Design Package. 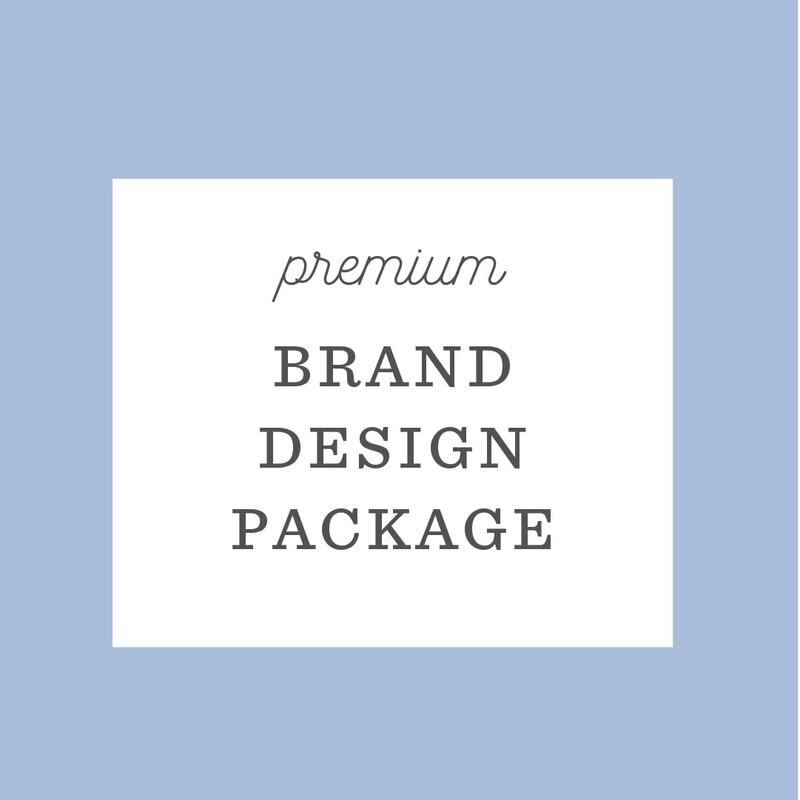 The Stationery Package includes design files for branded letterhead, an envelope, one sticker design and a business card.